The day you find out you’re having a baby, you become a parent in your heart. And the moment you hold your baby in your arms, you become a parent in your soul. But the day your sweet little prince(ss) first talks back to you with a cute and dramatic little smirk, you become a parent in your mind. Because that tiny little human that shares your hair, eyes, and dimples is watching and waiting to see how you will respond. But just as you are getting ready to sweep in with a loving yet firm response, your partner chuckles and ruins it all by saying, “Oh, sweetie. You look just like your mama when you talk like that. And you couldn’t be cuter!” Suddenly, you feel panicked that your partner just let her off the hook for disrespect and you can’t help but feel that if you don’t get a handle on this now, she will one day become “Ms. Sassy Universe 2036.” You can even see her thanking her Dad on stage for her sassiness—all the while you still wonder where her flair for drama is coming from. Well it’s true. Parenting IS hard. And seeing eye to eye in parenting with your partner can be harder. But it doesn’t have to be a bad thing if you do a few things to get started off on the right foot to parent as a team. So that one day when you’re both trying to parent together, you don’t wind up with a foot in your mouth. So here’s six tips for how to parent as a team. One of the best ways to figure out the way you want to be as a parent is to evaluate how your parents raised you. It’s likely that you and your spouse were not parented in the same ways. It’s smart to ask yourself things like, “Were my parents authoritative, permissive, strict, lenient? Were they involved, distant or way too nosy?” Discuss these traits with your partner and tell stories that give examples of these types of things. The more you can uncover and understand about the way you were raised, the more prepared you will be for step 2! Now that you’ve come up with a list of words to describe your parents’ parenting style toward you, begin to discuss why you like or dislike the way in which they did things. If they were strict, discuss ways in which that benefited you. If they were too lenient, discuss ways in which that did not work out well for you. Consider the things you think they did well. Consider the things that did not go well. And then begin to decide which things you would want to emulate toward your own child. And what things you would never want to repeat. 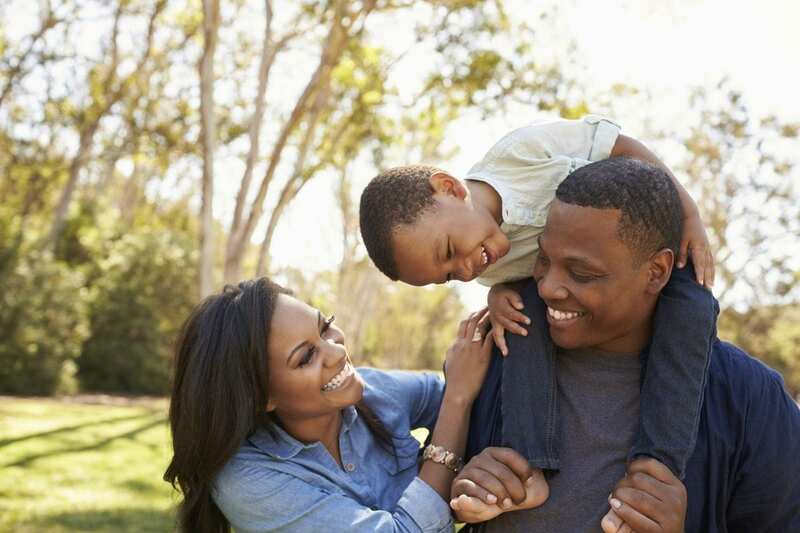 Now that you’ve analyzed your upbringing, it’s time to pick your parenting style. This part is challenging but can also be fun. It certainly requires thought, but our children are worth it. Right? So a great way to do this is to think: “What words do I want my children to say guided my parenting style? My mom or dad was __________________ when they parented me.” Then fill in the blank. Do you want that word to be loving, patient, consistent, firm, teaching, gentle, etc.? Then also consider what you don’t want that word to be . . . angry, impatient, reactive or inconsistent. Once you’ve figured out what words you like, say this phrase with your partner, “We want to be ­­­­­­­­­­­­­­­­­______________________ parents.” Practice embracing your decision. Now that you know what kind of parents you want to be, take time to discuss how this will play out. Go over certain instances and come to agreement about how you want to handle these things. Ask each other, “How will we respond when they run away? How will we respond when they get out of bed? How will we respond when they talk back?” Talk through challenging situations you’re experiencing so you have a pre-determined response to keep up with your goal to parent as a team. It is sometimes hard to know how you want to respond to things until you have ideas. Luckily, there are so many great parenting books that exist in the world today! And books that help with pretty much every area of parenting. These books can really help you discover who you want to be as a parent as well as give you and your partner ideas for moving forward. A few of my favorites are Raising an Emotionally Intelligent Child by John Gottman and Scream-Free Parenting by Hal Runkel. Lastly, in order to parent well as a team, it’s a must that you don’t fight with one another about parenting in front of your children. They are smart and will learn quickly if they can play one parent against the other. And that is something you never want to happen. So discuss how you will handle a situation with one another if you disagree. This may be telling the child you have to take a moment to discuss consequences. This may be saying you will take turns letting a partner parent their way if you can’t see eye to eye on how to handle a situation. Whatever it is, come up with a game plan that allows you all to remain a united front in front of your children. This will not only help you parent as a team, but will also benefit your relationship.